The best part about celebrating Indian festivals such as Baisakhi is that you get to wear ethnic haute wear, in all the razzle and dazzle. With that being said, to make heads turn as you walk past the onlookers at the parties, your eyes should do the talking, more than the clothes.Be one of a kind at the gathering this Baisakhi, in gorgeous smokey eyes makeup which we would like to share with you. Take a look and practice from now! The combination of brown and black for smokey eyes makeup would never cease to be a versatile pair and a hit one that too. To wear your lids in neutral dark shades, which work their magic with anything you plan to make a fashion statement, here’s how to doll up. Start by applying a matte light brown shade to wash the lids with, and then define the crease lines on both lids with a dark brown matte shade. Once that’s done, contour the outer corner of the eyes with a dark kajal pencil and smudge it inwards. A peach matte shade should define the brow area section and the inner corner of the eyes to make the pair of lids pop out. The insides of the eye contour should b smudged with dark black eye shadow. Complete the look with heavy black mascara and false eyelashes. Smokey eyes makeup needn’t be the quintessential black and browns always; play with other colors and experiment to see which one brings out your personality the most. Here we would play with shades of copper brown, shimmer dark pinks and a hint of dark gray. Begin with an eye wash using copper browns for the whole lid. The brow area should be highlighted with peach and from the inner corner to the mid section of the eyes, we would deck the lids with shimmer dark pinks. Blend the gradients well and contour the outer section of the eyes with dark grey touches. Enhance the look with dark kajall for the upper and lower lash line, and mascara to make the oomph factor come through. For the evening parties and the dinner gatherings you’ve been called and invited to, we want you to be the diva everyone wants to have a dance with. 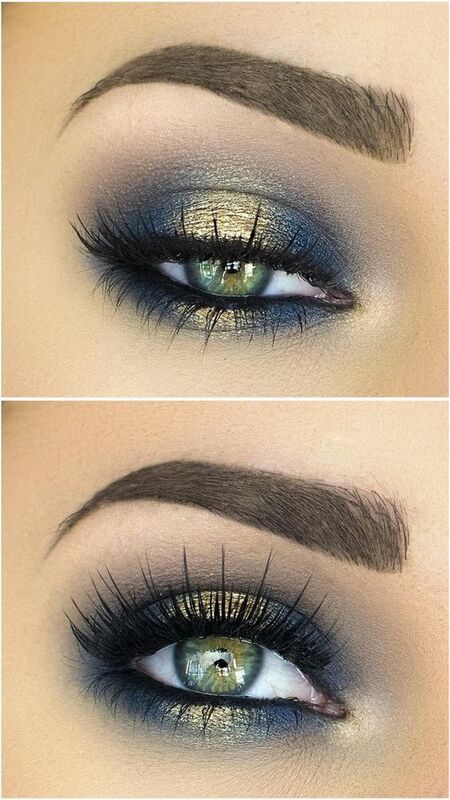 To make the eyes do the talking, let’s play with hint of metal and mattes all combined. Start by doing an eyewash with matte browns for the entire lid, and define the crease line with the same. From the inner corner of the eyes to the mid section of the eyes, with your pinky finger, dab the gold pigment. The mid section should be dabbed with a hint of shimmer browns, and the rest of the lids should be outwardly contoured with black. Heavy mascara sets the look and darkening of the upper and lower lash line with black kajal is a must. To enhance the goddess’s look on you when you party with the girls around the block this Baisakhi, we would play with cool shades of plum in mediocre touches and greys to smudge on the lids to make the oomphatic touch come through. Begin with an eyewash of both lids, using a matte touch of browns. This helps define the crease line. The brow area till the crease should be first washed with a shade of peach and on top of that, a shade of plums should be smudged. The rest of the lids should be contoured outward with steel greys and smudged with a brush. End the look with heavy mascara and false eyelashes; deep black kohl too. 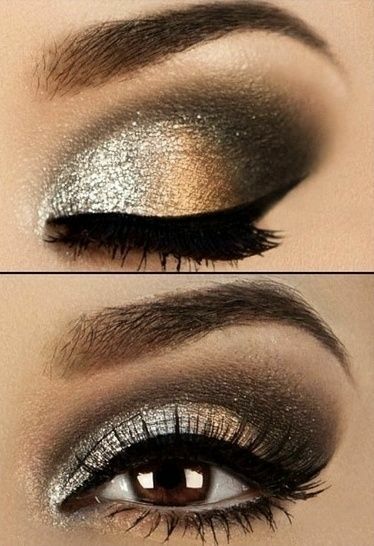 To make the look more gorgeous, pop the inner corner of the eyes with a touch of metallic white. If you are about to meet someone special at the festival or the parties for the first time, you need to be decked up special and nice. 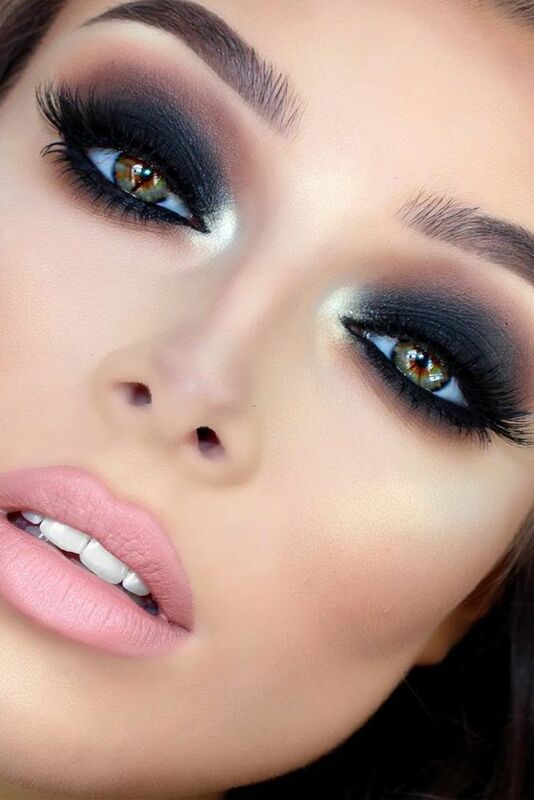 Smokey eyes makeup would make him fall for you for sure, but if you try a new idea with the same, he would be floored. To get this look, you would need a hint of metallic light yellows or golden and metallic blues with dark black or grey shadow. 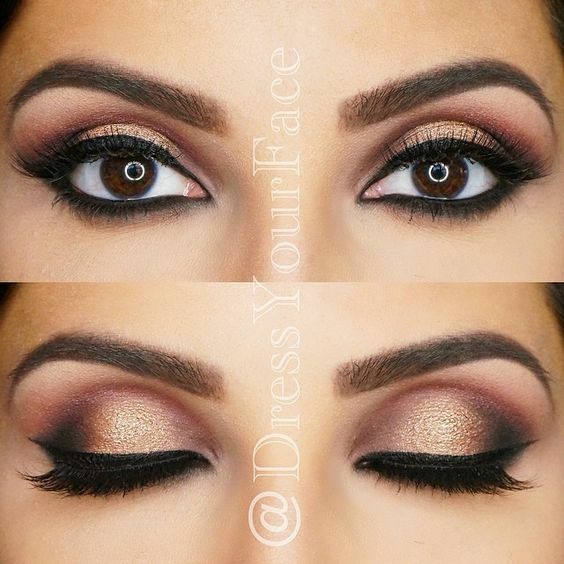 Start by doing an eyewash with a matte brown shade on the entire lid, and define the crease line. For the entire lid, pigment the region with blue tones and in the middle with your index finger dab the metallic golden or yellow. For the brow area, peach touches would help pop the eyes bright and nice. Complete the look with a winged liner and false eyelashes; heavy mascara is a must. For a sultry divaish touch to your eyes, one would need to be different from the rest when trying out smokey eyes makeup ideas. To enhance the eye makeup for the evening, we would want to play this time with deep wines and a hint of golden yellows with dark browns. Start by bathing the lids with an eye wash in matte whites, and peach for the brow area. 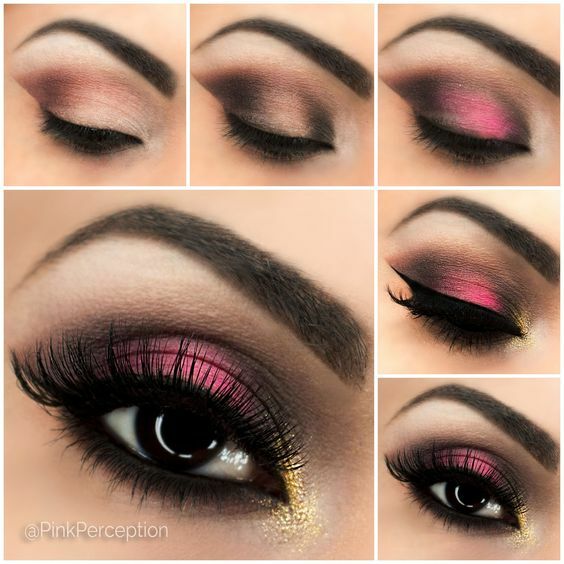 Define the crease with a hint of golden yellow all the way to the inner corner of the eyes. The rest of the lids should be decked in wine shades, and blended into the contouring of dark browns on the outer corner of the eyes. 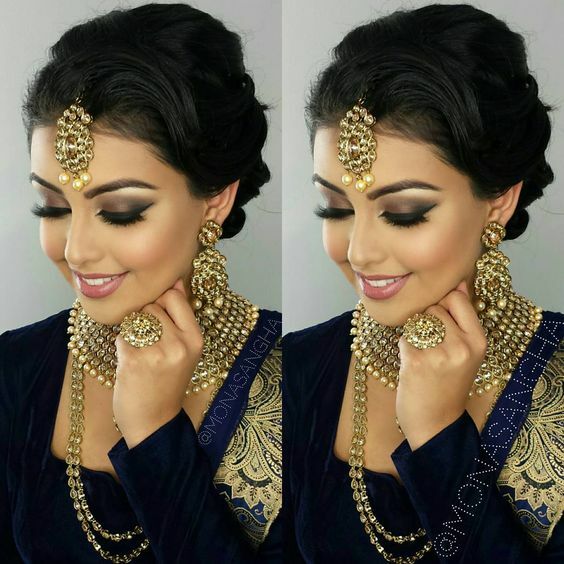 End with heavy mascara, false lashes and deep kajal lining for the upper and lower lash line. Here were the easiest smokey eyes makeup ideas we shared with you- do share with us your ideas too!